Reheat that cup of chamomile tea, Spoony, because I’m back! Sorry for the long delay folks, I let life catch up with me and then drag me along for almost a month. So this post is mostly going to be a big catch up as I try to re-organize my world. I’m not going to lie, I’ve been really struggling with keeping everything balanced in my life, but I think a lot of it stems from the fact that I’ve been running back to Maryland every day I have off (and even a few that I don’t!). Life happens. Trees fall, paths get blocked. But you have to climb over them, dig under them, maneuver around them, or find new tools to get through them. You can’t spend the rest of your life staring at that fallen tree, wondering what to do with it. You have to get past it. Because trees fall, paths get blocked, life happens. And you have to happen with it. 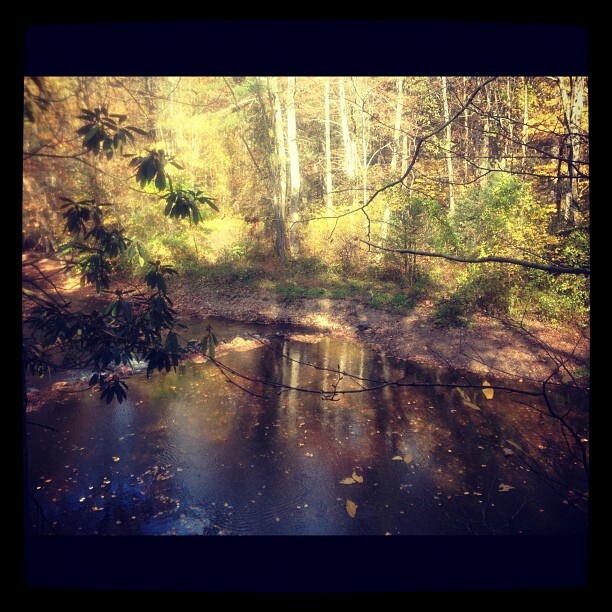 One of the photos I took while hiking today at Caledonia State Park. 1. 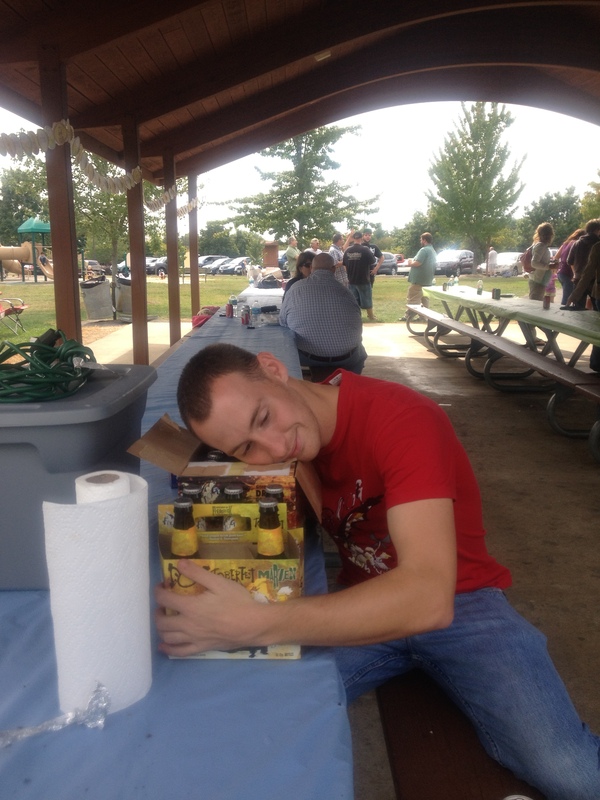 I had the opportunity to go to a music festival in Clarksville, Maryland back in late September. It was called ‘Hometown Getdown V’ and was an absolute blast. I received a phone call from a very cute if slightly intoxicated Paul when I was still at work that Friday inviting me down. His roommates, one being my old friend Taylor, were camped out listening to music. So, after grabbing a promised beer with my beautiful and very busy friend Darlanna, I headed down. 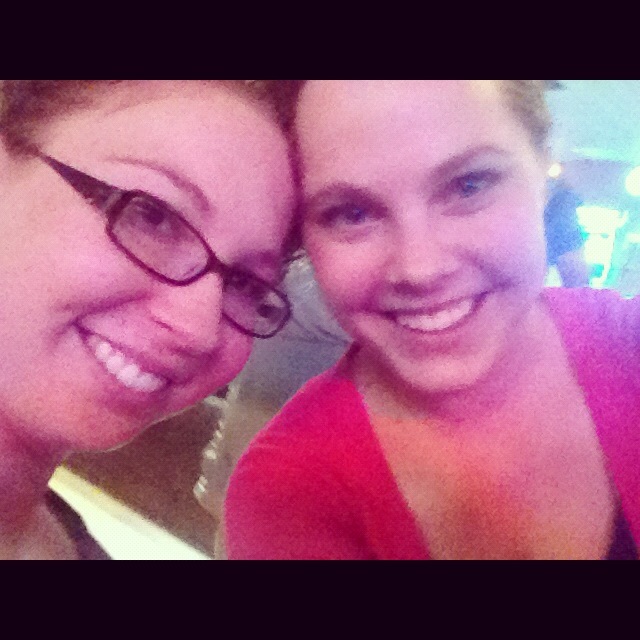 Dee and I catching up at Orkys briefly before I sped down to Clarksville. I guess the best way to describe my experience when I arrived was confusion and amazement. Confusion, because I got so fed up trying to find the porta potties Paul told me I’d see I just parked somewhere and started walking across the hay-covered field and amazement because this place was awesome. I was only shortly off the road when I realized I was in the middle of a gosh darn music festival. 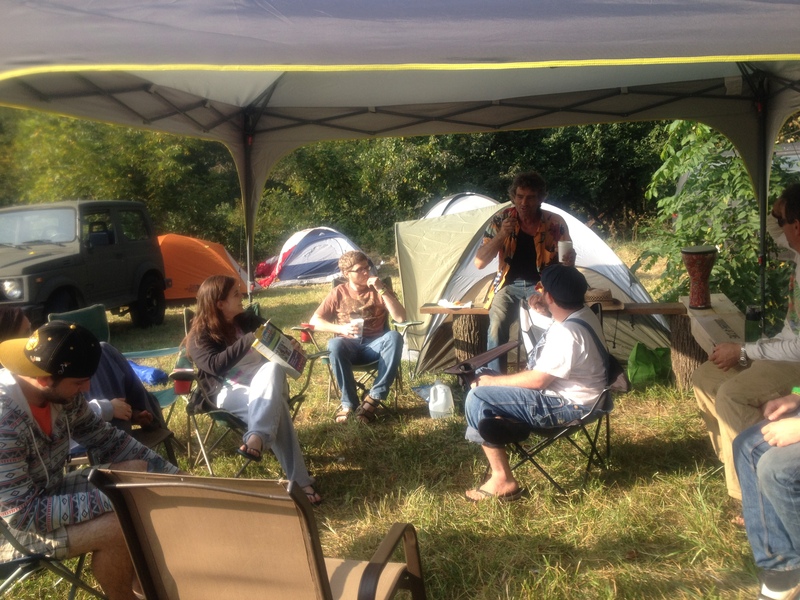 Trailers, trucks, and cars were parked in a makeshift lot surrounded by tents, campfires, and a drum circle or two. I found Paul, who led me up to the little tent town that our group had created. 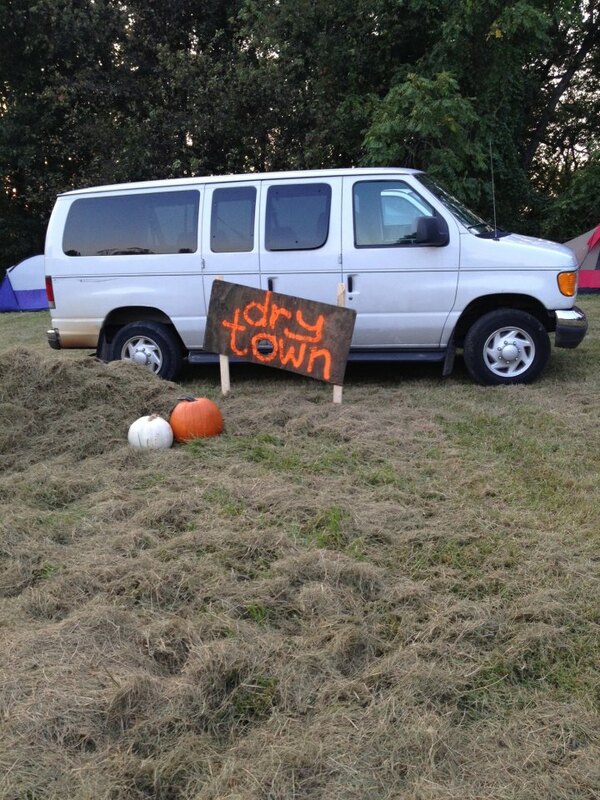 They had nicknamed it “Dry Town”. We came upon the group mellowing and singing in perfect harmony “Wagon Wheel”. Two guys were on guitar, one playing a percussion box, one on a ukulele, and quite possibly a few more instruments. People were sitting on chairs, a plank of wood, the ground, everything. And everyone was smiling. How could you not? The next morning, we all woke up at probably around 6:30am and rolled out of our tents. The image of like ten people brushing their teeth around the water jug was pretty funny and luckily they were selling coffee so we trekked down past the stage to the bar area and proceeded to attempt to wake ourselves up fully. 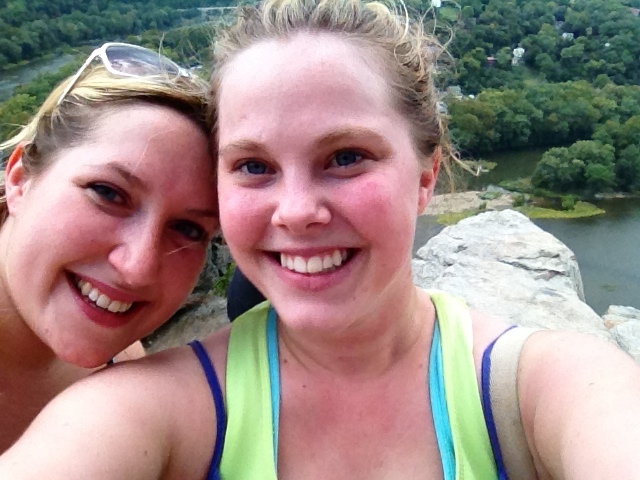 I left for a few hours to go hiking with my friend Christine (and shower!). We ate some of her mother’s “hangover soup”, i don’t know what was in it but it was delicious and it certainly kept us going. 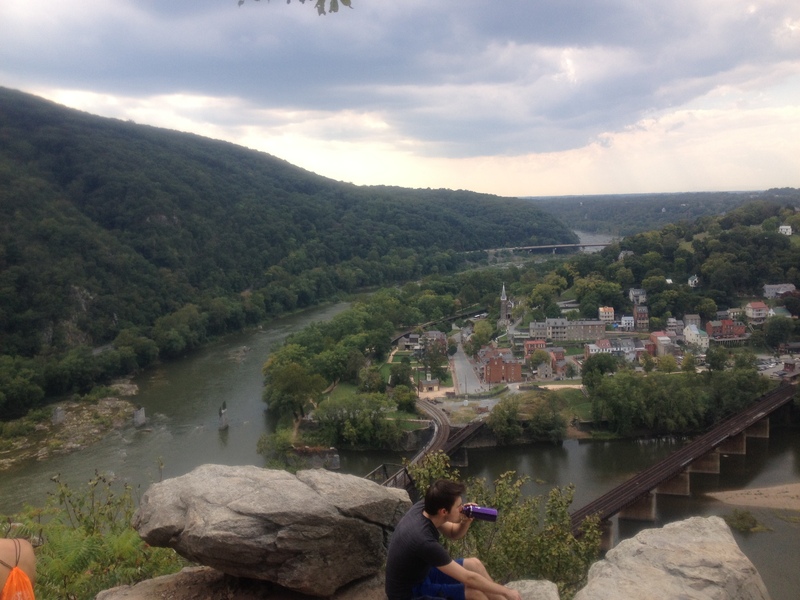 We climbed the Maryland Heights in Harper’s Ferry and made it to the overlook. 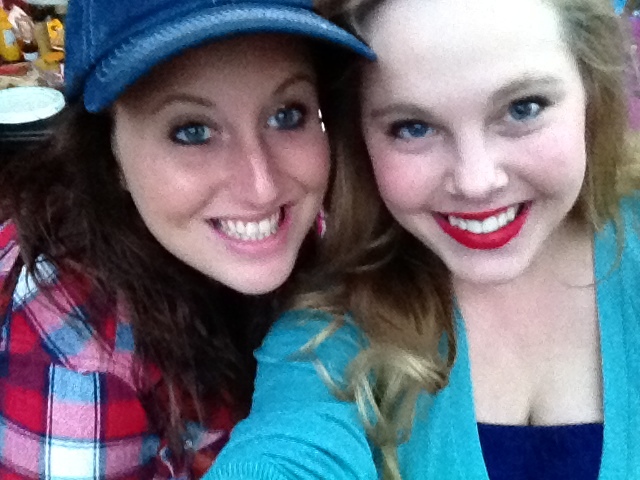 Christine and I at the top of the overlook! This was a big deal because the last time we attempted the hike, about a year before, and I wasn’t able to finish it. 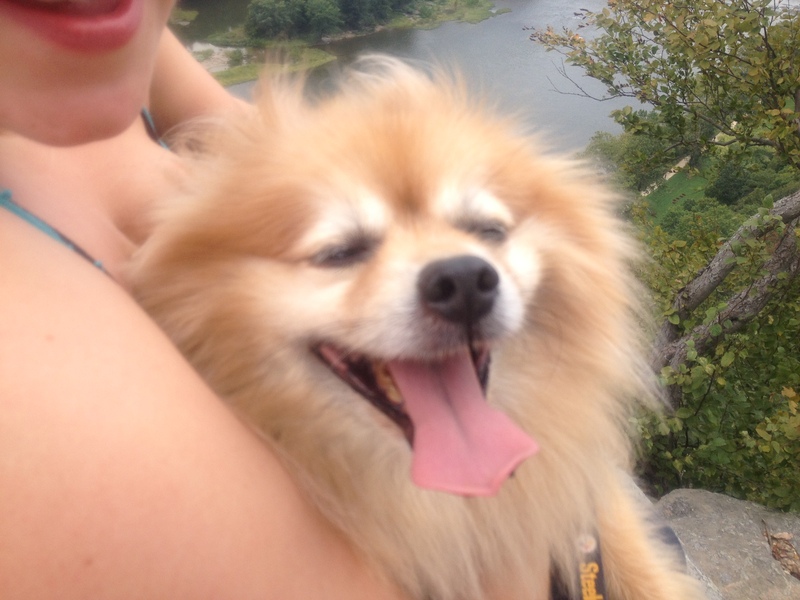 I was only able to get 2/3 of the way up before I was panting, miserable, and ready for about three cigarettes and an ice cream. Her pomeranian Buddy was more energetic than I was. But this time, I was marching along ahead of the poor furball most of the way up and was bouncing the whole way back down. It showed, to me, some of the progress I’ve made. But so many other things have happened. I went to a good old friend Artie’s baby shower, where I was able to catch up with old friends and eat pit barbeque at 1pm on a Sunday. 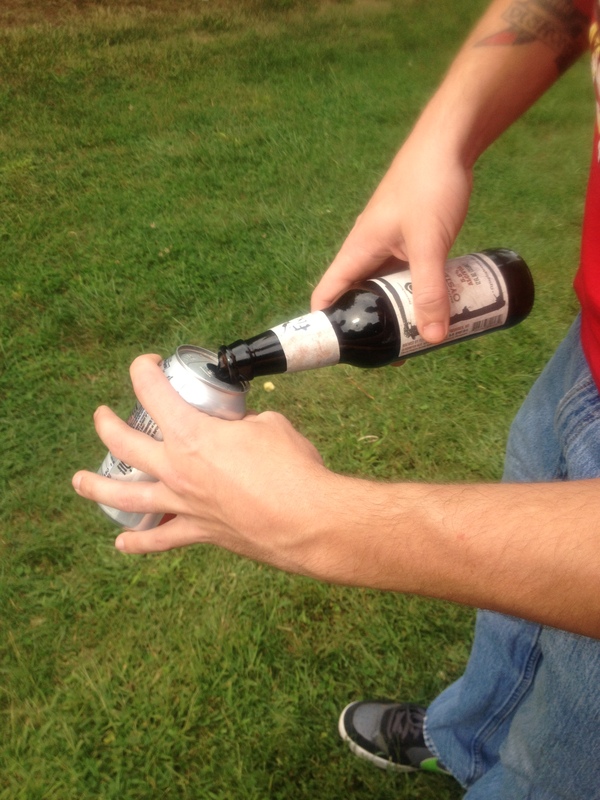 We also found a beautifully sneaky way to hide our beer, because, well, there was Flying Dog. That same weekend I attended my friend Sara’s “‘Merica, Frick Yeah!” party, which other than the noise violation, was a lot of fun. We laughed, we ate, we drank, we mud wrestled…yeah. We mud wrestled. 1.) My brother’s wedding. First N-meyer child married. Shits are to be given! 2.) My adventure quitting smoking cigarettes. My friend Anne requested it and I’ll definitely talk about it, especially because I’m asked about it all the time. 3.) A situation that resulted in me being assaulted in a bar and apparently a nasty, completely unnecessary comment on my blog. I won’t get into it now, but it’s resulted in me really appreciating the friends I have and better understanding of others of whom I am no longer. Anyway, sorry again for the lapse in posting. I promise regularity from now on! And, hopefully, hilarity! And clarity! And about forty other -ity words!